One book that I am looking forward to this spring is Wanderlove by Kirsten Hubbard. It comes out on March 13th and it chronicles the journey of 18-year-old Bria as she backpacks through Central America. The novel is bound to be excellent because it's strongly influenced by Hubbard's own experiences traveling to Central America. To celebrate the novel's release, she's heading back to central America and blogging about her trip at wanderlove.com. But this website isn't going to be all about her travels--she wants readers to participate as well by submitting pictures of their own favorite places, near and far! 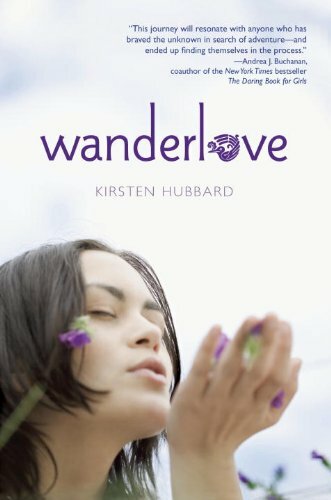 If you submit by March 5th, you'll be entered for a chance to win a personalized and signed copy of Wanderlove! You can check out all the details at wanderlove.com! In the meantime, I hope you also check out the book and pre-order it! This is me on the top of La Peña de Francia in Spain. 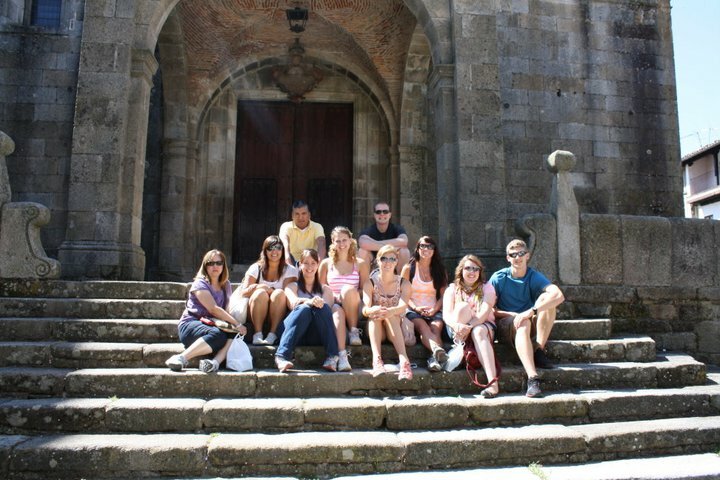 I studied abroad there this past summer, and one my favorite day trips was to a small village called La Alberca, which is near this beautiful mountain range and to the top of this mountain. There is an old monastery on top of the tallest mountain in this range that is now a hotel. The day we went up to the top was bright and clear, and HOT. My group made fun of me for wearing a scarf that day, because in the city we were staying in it was about 95 degrees. By the time we got to the top, it was a cool 60 and I was glad for the scarf. The breathtaking views were totally worth the utterly terrifying trip up the mountain in an old van without shocks on a road without guardrails, perilously close to many steep inclines. I could have stayed up there for the rest of my life and been completely and utterly content. The monks really had the right idea when they settled up there. The view of La Peña de Francia from the top floor of a house in La Alberca. 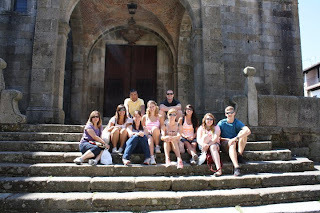 My group on the steps of a very old church in La Alberca. Here we are on the top of the wall guarding the fortified Ciudad Rodrigo. That castle you see was once the fortress of the Castille family (the family of Queen Isabella, the Catholic Queen responsible for sending Christopher Columbus across the sea and for Spanish Inquisition), and is now a five star hotel so expensive they wouldn't even let a person like me enter through their gates and into the courtyard. Share your pictures at wanderlove.com and let me know about them so I can check them out! I don't really enjoy traveling so I don't think this is the book for me, though.